Yesterday the president of the Atlanta Federal Reserve bank, Dennis Lockhart, was quoted in the Wall Street Journal as believing that the economy was ready for an increase in US interest rates. This would be the first rise in no less than nine years. 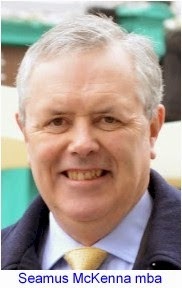 He indicated that the first rise would be in September. Last week his colleague, Bullard, made similar remarks. This all seems coordinated, almost as if the members are going out of their way to prepare the markets for the beginning of a rate rise cycle in the US. 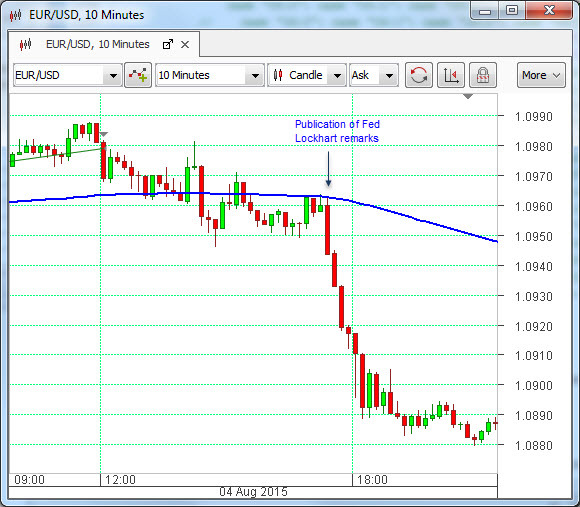 The EURUSD pair responded accordingly on the publication of the WSJ piece, as can be seen from the chart above. The US dollar strengthened across the board. Today sees the release of the ADP Payrolls report, which is seen as a forerunner for the US official Non-Farm Payrolls report which will be released on Friday. While employment is still a major factor in the Fed’s decision making process with regard to interest rate rises, it would seem that it has already been determined, on the basis of the trend in employment, job market participation rates and wage increases, that the era of US zero interest rates is about to end. In the words of Mr. Lockhart “It would take a significant deterioration of the data” to convince him not to move in September. So both jobs reports will be closely watched this month. The market is likely to react strongly to each of them, whatever way they pan out.